Baltimore Archbishop William Lori and Diocese of Richmond Bishop DiLorenzo came to Saint Benedict Parish for a Red Mass, I believe invited by the St. Thomas More Society in Richmond, on Oct. 23, 2012. Abp. Lori’s homily was excellent, touching on freedom and conscience, and striking a bit of a (Pope) Franciscan note in warning that we must see to it that we have the credibility to witness to the Gospel. 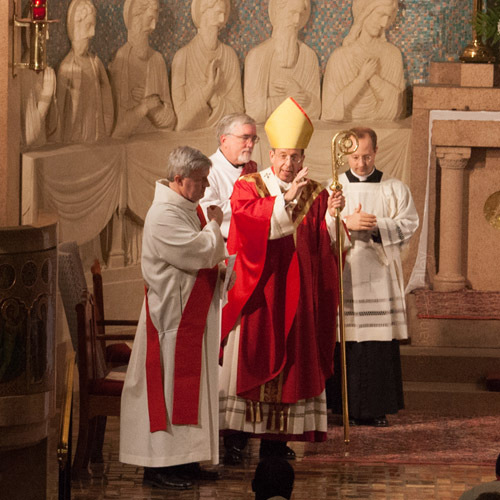 Update: @archbalt on Twitter kindly sent the link to Archbishop Lori’s homily, thank you! Archbishop Lori had an excellent homily on freedom, linked above.